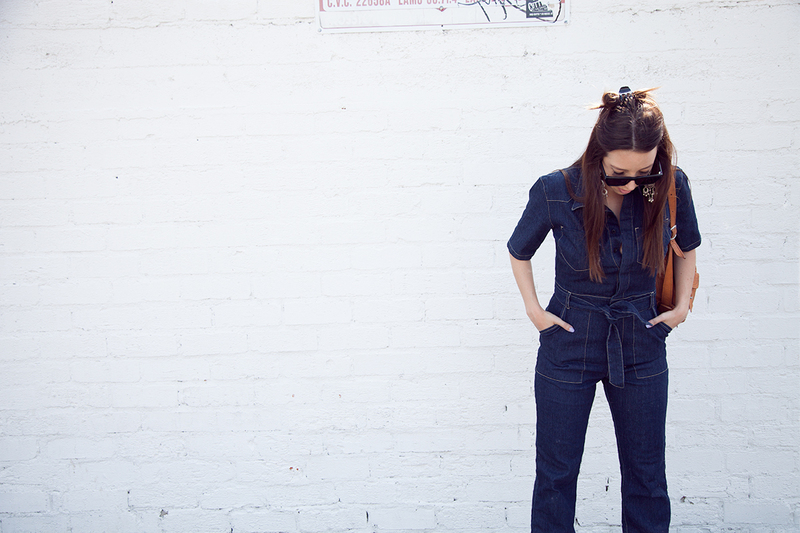 Should you Hop on the Fall Jumpsuit Train? 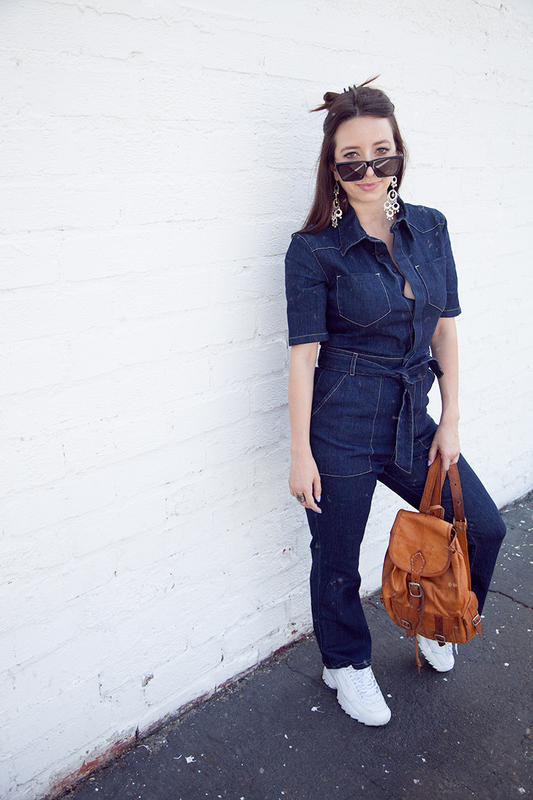 Fall Jumpsuits! How great is this? You only need one clothing item to create your look. I love jumpsuits because you can just put it on, throw your hair up in a messy bun, add some cool kicks (like these Fila ones, I’m obsessed!) and a few accessories and you’re good to go. It’s comfy and fashionable. 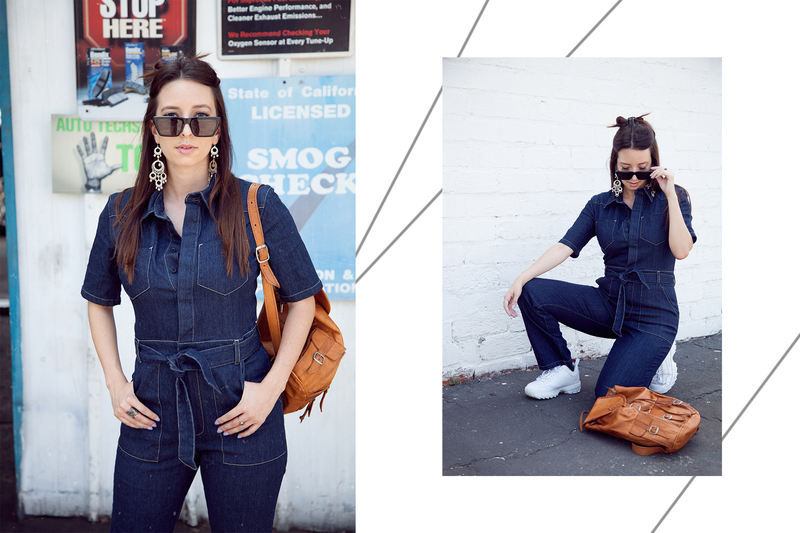 If you’re unsure of hopping on the jumpsuit train, let me help you. Firstly, it’s important to find one that fits well. I won’t lie, sometimes it can be challenging to find a jumpsuit or romper that fits in all areas. I’m always a fan of going oversized, rather than too tight. Secondly, to go with a solid or pattern? Well, for fall I totally recommend a darker tone. Magentas, blues, tans and browns are always a nice choice. If you’re really set on having a pattern on your jumpsuit, some darker florals, stripes or polka dots could be quite nice. I wouldn’t pair a patterned jumpsuit with anything too flashy. Gauge how busy the pattern is, and what to accessorize with. Big pattern, simpler accessories. Simple pattern, big accessories. 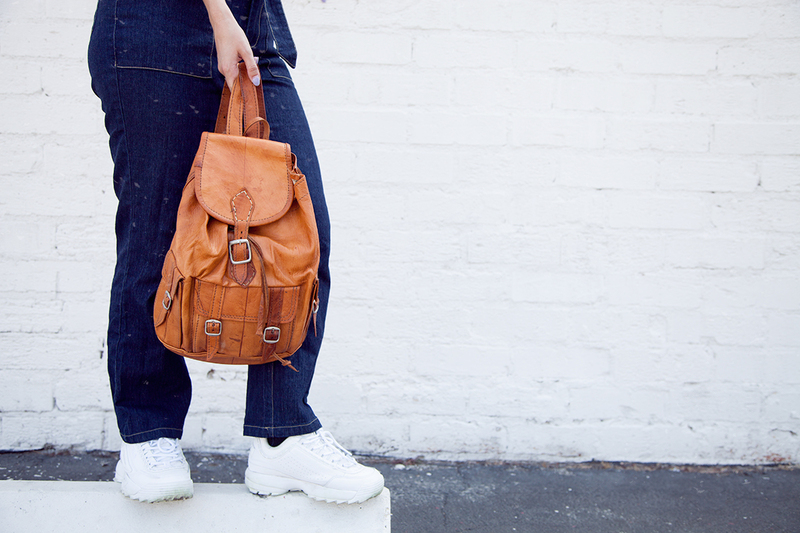 Think of balancing out your look. The bag. This can complete your look. 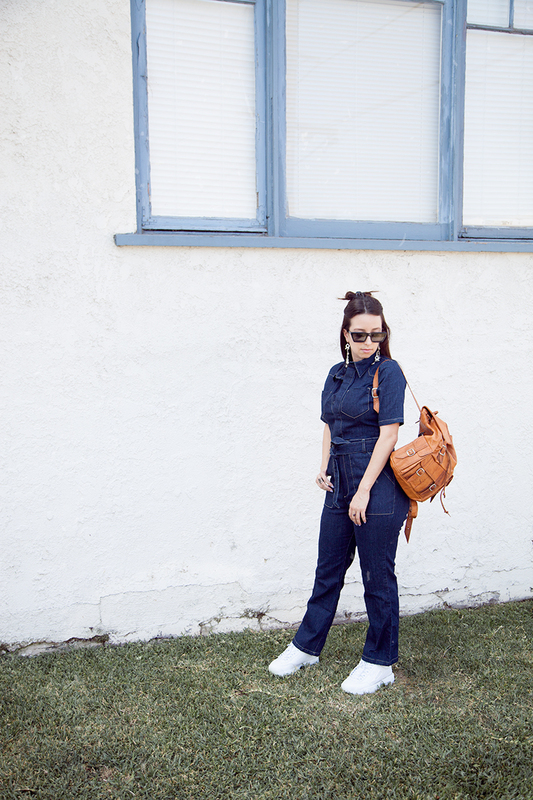 I’ve paired my jumpsuit with a leather backpack that I got in Spain years ago. 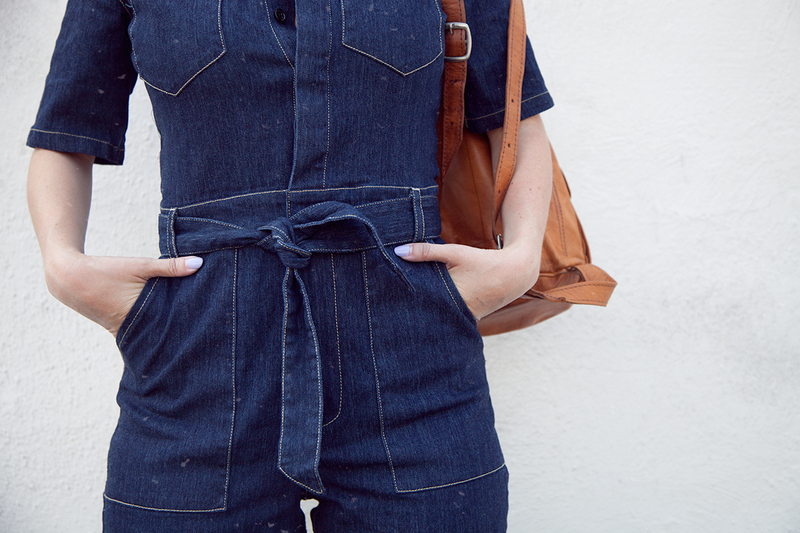 Jumpsuits can be really cute with a backpack. 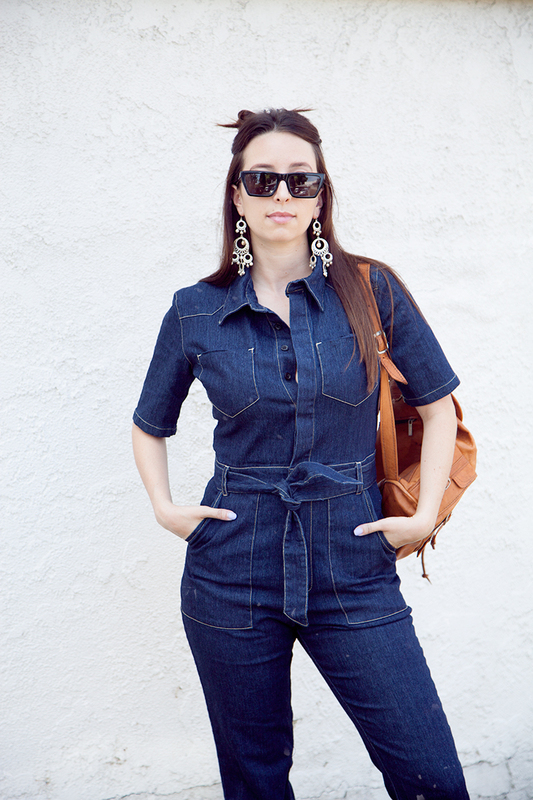 If they don’t have a belt, a belt bag can be great to bring in the waist on a jumpsuit! I’d love to see how you wear your jumpsuit. Comment below with a link to where I can see your pic on Instagram. 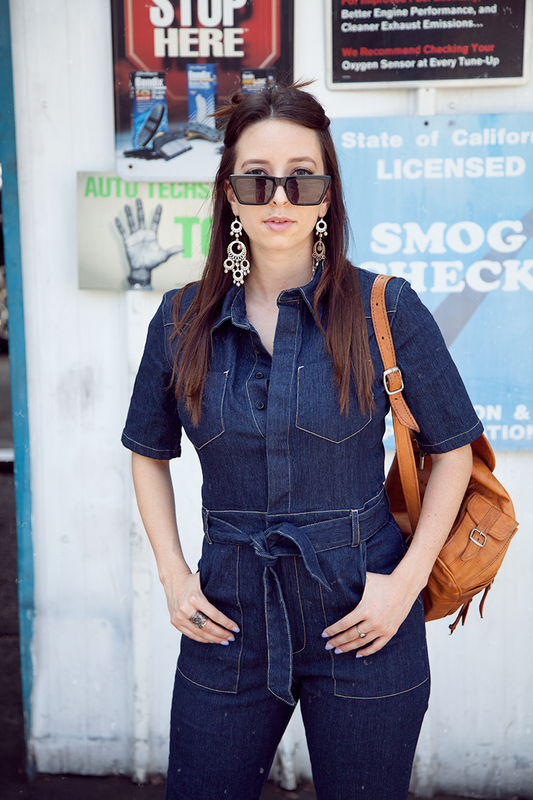 Or hashtag #nomadmodajumpsuit for me to find it!